If you’ve been in a situation recently where you had a black magic spell on you, you may be in need of the spiritual gift of healing. Once you’ve had the cure for black magic, finding some energy healing techniques can allow you to center and find your roots again. There are many methods of spiritual healing with chakras healing being one of them. It is a wonderful way to tap into the energy flow of your body and start feeling good again. It can create complete spiritual healing as it works with energy centres in the body, allowing energy to flow through once again. There are 7 chakras within the body and if they aren’t flowing properly, you may experience illness in the mind, body and soul. Every chakra is equally as important as the next as they control functions within the body and work together for total spiritual healing. When you’ve gone through the trauma of a black magic spell put on you, it’s very likely that your deep inner self has some healing to do. You may find your black magic healer telling you of the importance of spiritual inner healing once they’ve removed black magic from your life. 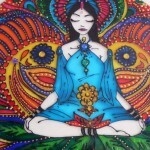 Cleansing the chakras is just one alternative on how to heal yourself spiritually. The Root Chakra is the foundation of our body and what keeps us grounded. It maintains harmony within us that perhaps we lost when we had a black magic curse on our life. If it’s closed off, we may feel insecure and tense. Feelings of terror can occur and waves of emotions create a need to defend our survival. The Root Chakra sits at the base of the spine close to the tailbone and is what connects us to the physical world. It’s important to tend to the Root Chakra prior to the other energy points for its grounding capabilities. Cleansing and opening the Root Chakra will help you find clarity when you are feeling lost after a black magic spell. Recommended exercises to help open the Root Chakra include meditation, Yoga, Capoeira, Tai Chi and Pilates. They are movements that make you focus on one body part at a time and allow for healing spiritually. The Sacral Chakra is the seat of emotions and centre for our experiences that are associated with love and hate. The Root Chakra feeds its filtered universal energy directly to the Sacral Chakra. It influences how we express our emotions and make decisions. A balanced Sacral Chakra allows us to express our emotions in a healthy way. It’s powerful to our reality, regardless of good or bad as it lets us live a happy life or gives us the ability to accept change. Ambition, life and creativity are cut off when this chakra is closed. Addiction may be more prevalent in your life, healthy relationships may dwindle and love goes unmet. Food that nurtures the Sacral Chakra includes fruit such as melons, strawberries and coconuts. Being near running water or a creek is a powerful tool for cleansing. A Sacral Chakra opener exercise is to sit in a comfortable position while you inhale and push the tip of your spine backwards. The Solar Plexus Chakra or Manipura sits above our naval and reaches to the solar plexus. It is the centre of our body and being. Manipura translates to the “City of Gems where bliss, self-assurance and knowledge take precedence. That gut feeling you may have experienced in the past is the solar plexus chakra at work. After black magic has been in your life, you may naturally feel critical of others, feels depressed or anxious. Opening back up the third chakra will allow you to experience selfless love and in turn receiving more respect and understanding from others. Surround yourself with the color yellow and eat foods like bananas, grains and seeds. The Manipura Chakra opens up to visualization, a powerful spiritual healing method. Visualize a brilliant yellow sunflower floating directly over you. In the heart center is where the Heart Chakra sits. When the heart chakra is open, your life is full of love and the energy within you is so powerful you have the ability to touch everyone around you in a positive way. When someone has been able to break black magic that was creating havoc in your life, you may find yourself feeling closed off emotionally. This may be due to the sensitive heart chakra shutting down which is usually the spring within us that feels love, compassion and joy. If you’re feeling shy or not open to the world and are feeling lonely, there may be some work to do within the heart center. The heart chakra responds positively to the color green. Mentally picturing the color green as you practice yoga or meditation is a powerful practice and a part of spiritual self healing. Being outside and being in nature while you use your senses to take in the sounds and smells is deeply powerful. The throat chakra enhances your spirituality aspects and guides you in seeking truths. It allows you to express yourself freely and find your voice. It creates integrity and honor in yourself and allows you to speak your truth in a way people will listen. If you’re experiencing self-doubt excessively, it may be due to the throat chakra being closed off. The throat chakra is a filter to how your life is going to be so it’s essential that it is open and cleansed. Surround yourself with blue and eat foods like apples and oranges with water also being an essential component. A simple breathing exercise can relax the throat and open up the chakra. Take a deep breath in to the stomach and see your belly as a balloon which you are filling with clean, healing air. Let your breath out slowly. The crown chakra is associated with our brain and nervous system and is our connection to our souls and everything spiritual. If your crown chakra is closed off, you will experience a disconnect to your soul. Empathy is lacked and you feel alone in the world. When your crown chakra is open, you feel a divinity with the world with complete faith in the universes inner workings. Having the colors violet and white near you are of great assistance. Meditation is a key way to keep the crown chakra open and drinking water is highly recommended. The last of the chakras, the third eye chakra is your sixth sense. It is what connects you to your inner intuition. Your psychic abilities and wisdom come from this chakra. You have clearer thinking and focus with an open third eye chakra which makes all your ventures successful ones. The third eye brings your logical and creative mind together, allowing you to see things just as they are. This in turn gives you peace and a sense of bliss. 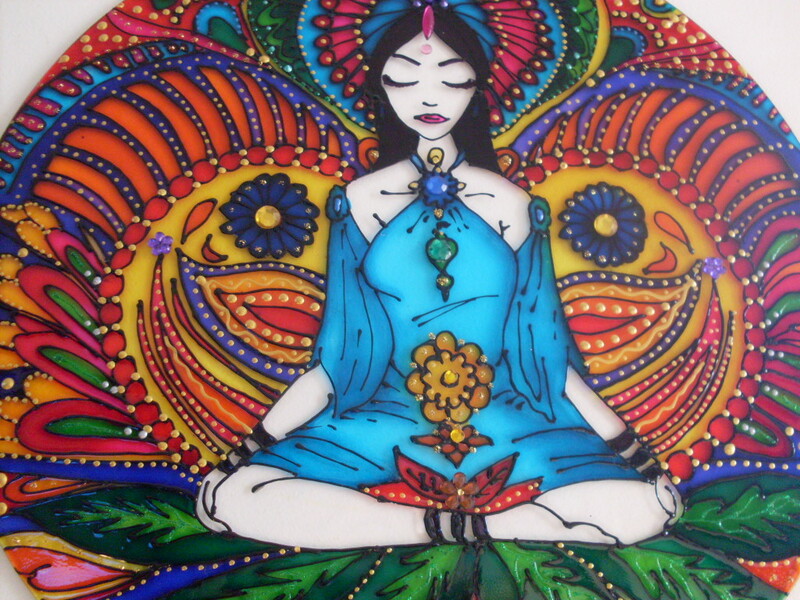 Ways to nurture your third eye include daily meditations that enhance your intuition. Foods high in Omega 3 fatty acids are recommended. Visit the home of Talal Zoabi to learn about black magic removal. How Free Distance Healing Affects a Black Magic Healer. admin on Talal’s Clients Are Amazing! sacs burberry femme on Talal’s Clients Are Amazing! Symptoms of black magic from around the world.